Rhinestones are the hottest form of apparel embellishment in the market today. 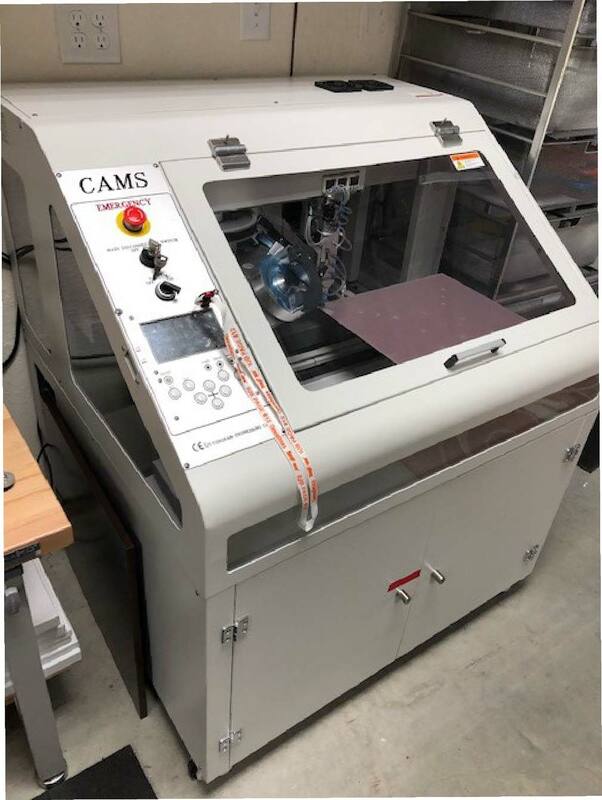 The CAMS Automatic rhinestone machines from ColDesi allow you to quickly and easily jump into the highly profitable rhinestone marketplace. Going in a different direction with my business. Why is rhinestone embellishment such a well-kept secret? Simply put, nothing adds more value to a garment than the application rhinestones, rhinestuds, crystal or nailheads. Until recently most rhinestone application had been done by hand or with prohibitively expensive machines. Now, with a full line of automatic rhinestone machines available from ColDesi, you can add rhinestone embellishment that fits your budget and output needs. Hands down, no other piece of embellishment equipment can make money at the rate of a CAMS automatic rhinestone machine. You can create your own line of garments or jazz up existing designs as well as generate wholesale rhinestone transfers for other screen printers, embroiderers and digital printers who have not yet seen the light and invested in this revolutionary technology.